There are plenty of ways to celebrate the holiday season in Vancouver. From Christmas markets to miniature train rides through Stanley Park, there is something to suit everyone. These three events, in particular, have become local traditions. If you’re visiting the city during this magical time of year, take the opportunity to celebrate like the locals do. And don’t forget to book your stay with us here at Georgian Court Hotel. 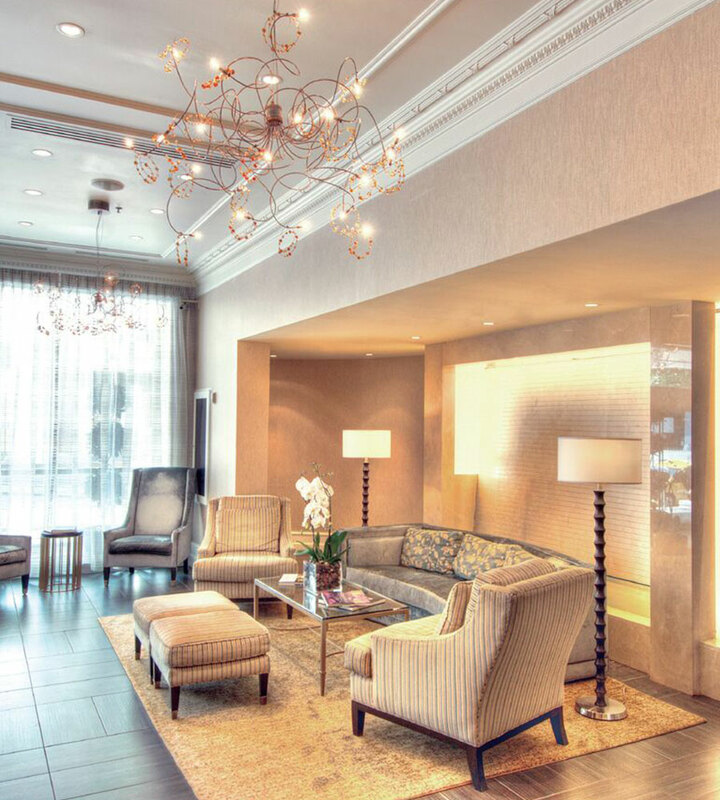 Our boutique hotel is conveniently located right in the heart of the city, with excellent amenities like in-room yoga mats and Frankie’s, our on-site restaurant that’s billed as one of the area’s finest Italian eateries. Give us a call today. VanDusen Botanical Garden’s Festival of Lights display features more than 1 million lights across over 15 acres of gardens. Take a walk through all of the different garden displays and try to catch some of the dancing light shows. There is also a holiday carousel and opportunities to take photos with Santa Claus. The festival runs from December 1 to January 6. This European-style outdoor market has quickly become a favourite amongst Vancouverites. Shop more than 75 vendor huts for beautiful crafts, chocolates, spirits, jewellery, and much more while you sip on mulled wine, listen to live music, and snack on pretzels and schnitzel. There’s also a 30 foot Christmas tree! The market is located at Jack Poole Plaza right outside of the Vancouver Convention Centre and runs from November 21 to December 24. This one is beloved by children and grown-ups alike. Bright Nights is known for its spectacular display of light decorations, almost as much as it’s revered for its famous miniature train! Admission is by donations, with all proceeds being donated to the BC Professional Fire Fighters’ Burn Fund. The event runs from November 27 to January 6.